Chief Technology Officer of Fiduciary Risk Assessment LLC (FRA) and PlanTools, LLC. A veteran of the U.S. Air Force and Operation Iraqi Freedom. Justin is responsible for PlanTools™ system architecture, product design & development, project management, client training, customer support, system maintenance & security. 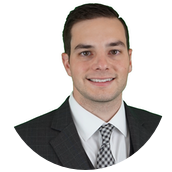 Justin is the lead project manager on all existing and new functionality and has been widely recognized for his work that brought three custom Target Date Tools to market, including AllianzGI and Principal Financial Group solutions. Justin currently leads a team of 14 and has been published in Atlassian's HipChat blog, Balsamiq Champion's Blog, ASPPA’s Plan Consultant magazine, Bloomberg BNA, 401kWire, 401k Help Center and has spoken at CLS, CFDD and Excel 401(k) conferences.